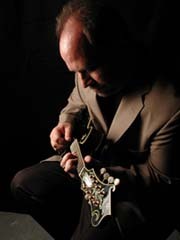 EMORY LESTER is one of this day's foremost exponents of the acoustic mandolin. The power and attack of his mandolin playing are unmatched and his sound is infectious. 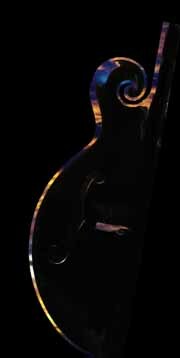 His new recording 'Cruisin' the 8', as well as prior landmark instrumental recordings have placed him among the elite mandolinists of our time. Emory's vocal style has opened up a new chapter in his music career, bringing to his stage new and exciting vocal material that perfectly compliments his already amazing instrumental show. 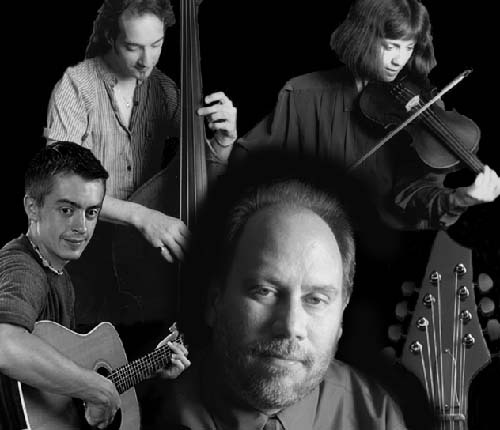 The EMORY LESTER SET is an ensemble of bluegrass and new acoustic artists from Ontario Canada, put together to feature Emory's music. Mainstay members are violinist / composer Marion Linton (featured in the July 2004 issue of Bluegrass Now magazine) bassist / composer Kene Hyatt, and one of the most exciting instrumental talents in the music, acoustic guitar wizard Marc Roy. Emory's musically pleasing vocals coupled with his exciting instrumental skills are a pleasure to hear as he performs many of his original compositions along with traditional tunes. Don't miss out on an entertaining presentation that makes the Emory Lester Set performance one to be enjoyed and long remembered. EMORY LESTER - mandolin A true master of the acoustic mandolin, Emory Lester has once again stepped into the limelight with his newest release, "Cruisin' the 8", as well as re-forming his feature band, the Emory Lester Set. Now a resident of Cookstown Ontario, Emory regularly tours with clawhammer banjoist Mark Johnson, in support of their new CD, "Acoustic Campaign", and is featured on the cover of the March 2002 "Bluegrass Now" magazine. With an exciting new band, he glides from note to note with thoughtful precision, always eliciting a bell-like tone from his black-faced mandolin. KENE HYATT - acoustic bass Originally from Pennsylvania, Kene Hyatt is one of the foremost bass players in acoustic music today. A master bassist, Kene studied at the York University in Toronto, and excelled in Jazz bass. A past winner of the 'Bass Player of the Year' award at the Central Ontario Bluegrass Awards, Kene has regularly performed with Emory Lester and other bluegrass artists, as well as branching out to other genres such as rock, salsa, and country. MARION LINTON - fiddle Emsdale Ontario's Marion Linton is known in the Ontario and eastern Canada regions for her versatile musicianship and creative song writing. A master violinist and pianist, her sweet playing of waltzes, bluegrass, and some jazzy swing is matched by her warmness of spirit. A long standing member of the Emory Lester Set, Marion's versatility on violin is legendary in recording circles from bluegrass to swing, from country to celtic. MARC ROY - guitar Windsor Ontario's Marc Roy is, without a doubt, one of the most amazing young musicians in the world of bluegrass music. Extremely adept at all the string instruments, his acoustic guitar skills are astounding, and his mastery of the 3 T's (taste, tone, timing) are unbelievable for his years. Marc regularly performs with the band 'Train 45' in the Windsor area, as well as with Andrew Collins in the band 'Crazy Strings', in the Toronto area. He and Andrew have just completed a new instrumental CD of bluegrass and new acoustic music, which is due for release later this summer.